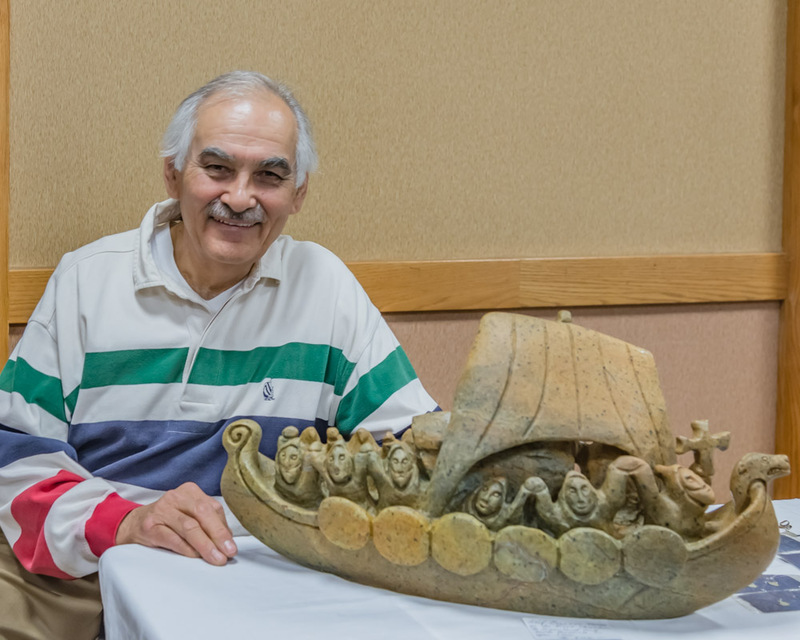 One of our larger groups in memory gathered October 10-12, 2015 in Bloomington, Minnesota, for the 2015 annual meeting of the Inuit Art Society. 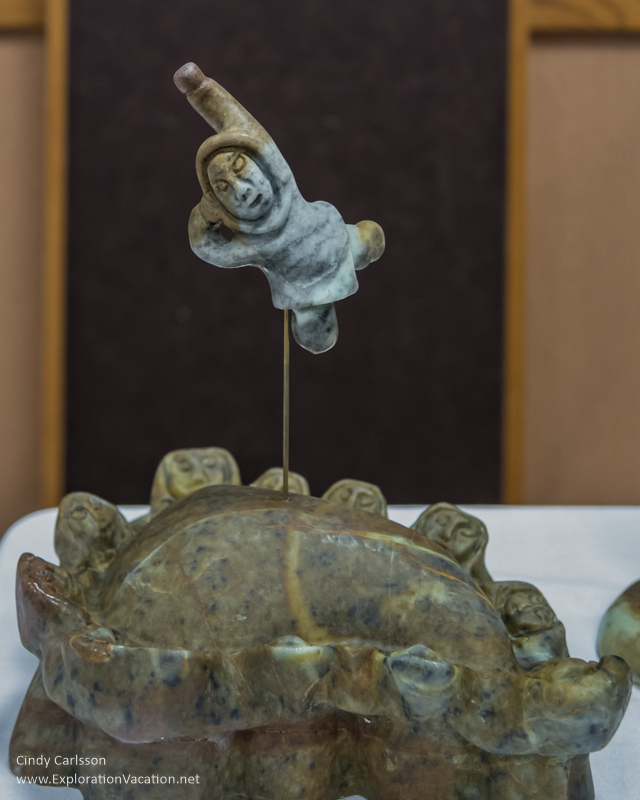 This year’s theme was Off the Island: Exploring the Inuit and Art of the Kivalliq Region. (Kivalliq is located along the western edge of Hudson’s Bay. It includes the communities of Rankin Inlet, Arviat, and Baker Lake.) The meeting also featured Greenlandic artist Jonas Faber. 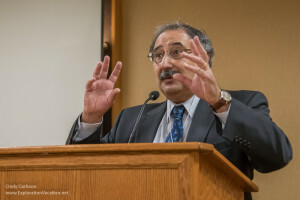 The formal program began when Mr. Jamshed Merchant, Counsel General of Canada, greeted the group. He thanked us for our continuing interest in the Inuit peoples, their culture, and for the role we play in strengthening ties between the US and Canada. 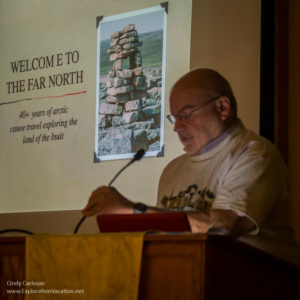 Jonas took us on a tour, through the eyes of an Inuit, of the political relationships amongst the US, Canada, Greenland, and Denmark through his life, particularly through the WWII years and beyond. He shared his thoughts as a consultant to the Danish government on Inuit affairs and ultimately how he came to reside in British Columbia. 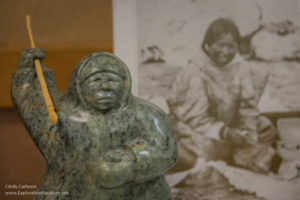 Most interesting was the revelation that it was noted Inuit art collector and former IAS member, Lorne Balshine, who influenced Jonas to pursue art as his current vocation. Later in the meeting Jonas spoke in more detail about his transformation from a merchant sailor into an accomplished artist, as well as offering comments on several of the works he brought with him. Those of us meeting Jonas for the first time found him to be a culturally informative and entertaining storyteller. Ole Gjerstad provides a filmmaker’s perspective on the history of the people of Kivalliq. An excellent late addition to the program was writer and filmmaker Ole Gjerstad. Ole presented excerpts from his 1999 film, Amarok’s Song. This documentary captures the experience of several Inuit as they return for the first time to their former hunting and fishing grounds in the Barrenlands. Samson Quinangnaq was of the Okusuqsalikmiut, the Soapstone People, who lived along the Back River in the so-called Barrenlands west of the Hudson’s Bay. When repeated famines struck in the 1950’s, Samson and his family were moved from their traditional lands into the nascent settlement of Baker Lake, and their lives changed forever. Ole’s documentary is the story of their survival, and their revival, as artists and hunters whose indomitable spirit carried them through some very difficult decades. The film features interesting commentary by artist Simon Tookoome, whose work was available in the marketplace. Two of his films, Kikkik and Amarok’s Song, can be viewed online. 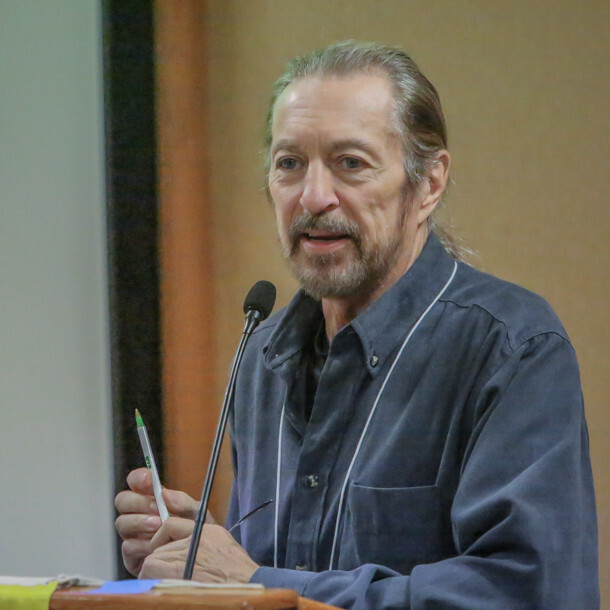 See Who’s Ole Gjerstad for more information and links to his films. 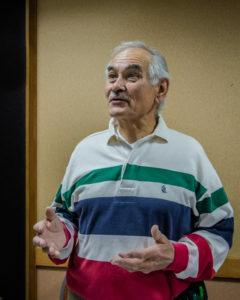 Norman Zepp on the art of the Kivalliq region. We were delighted to welcome back noted author, curator, art critic, and IAS member Norman Zepp who gave two talks on the art and artists of the Keewatin. 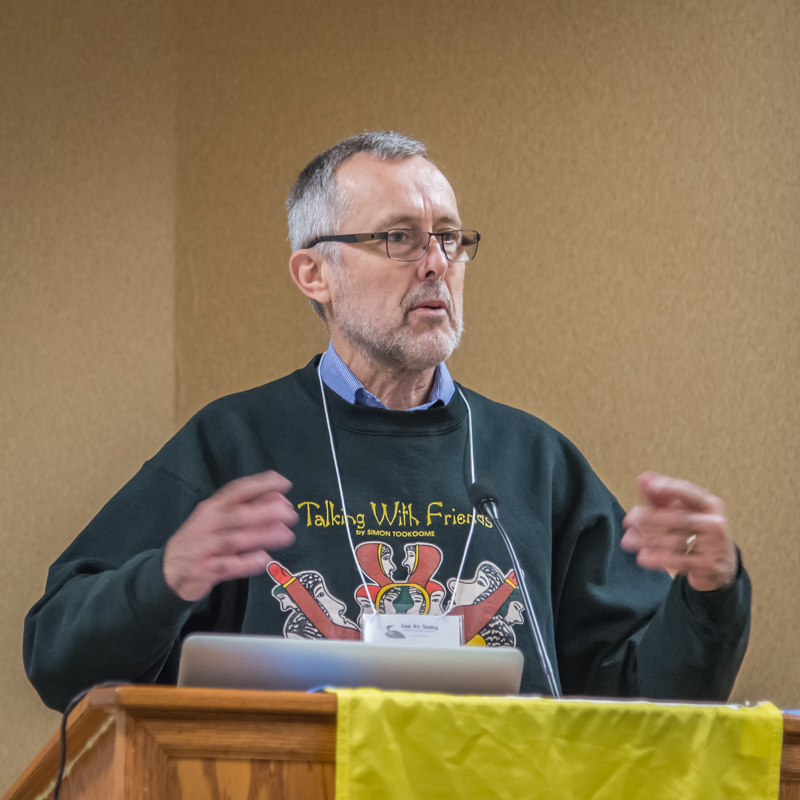 As always, Norman presented educational, insightful, thought provoking, and entertaining sessions. He detailed his multiple journeys to this region and shared stories of his interactions with many of the important artists from the region. In particular he focused on the importance of people, and families to the “caribou people” as evidenced in their art. 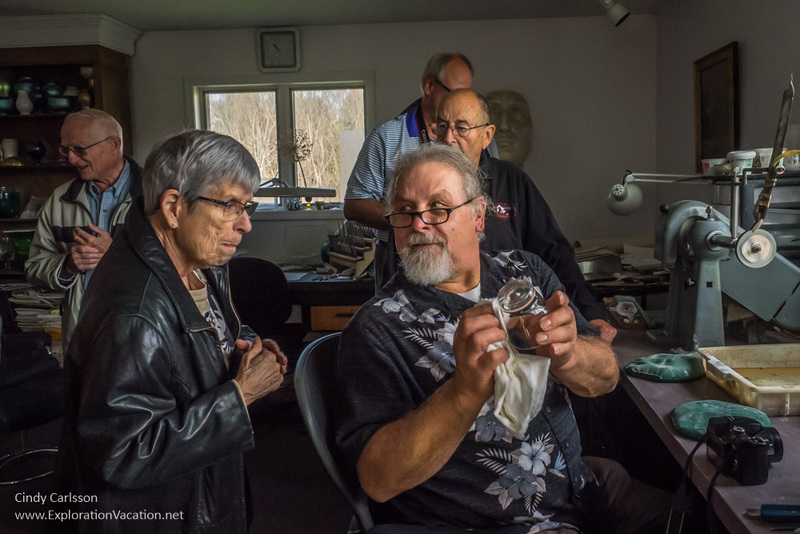 He also highlighted how the basalt stone available dictates the type of imagery produced in the Keewatin, which is much simpler in form than what can be produced from the steatite available on Baffin Island. 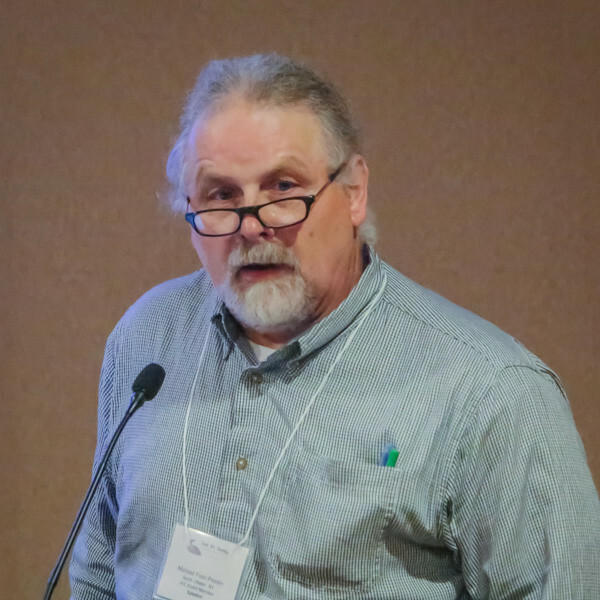 The Inuit Art Society’s new vice-president, Michael Foor-Pessin, continued on the Keewatin theme by discussing his personal journey of acquisition, and the curation of his collection. 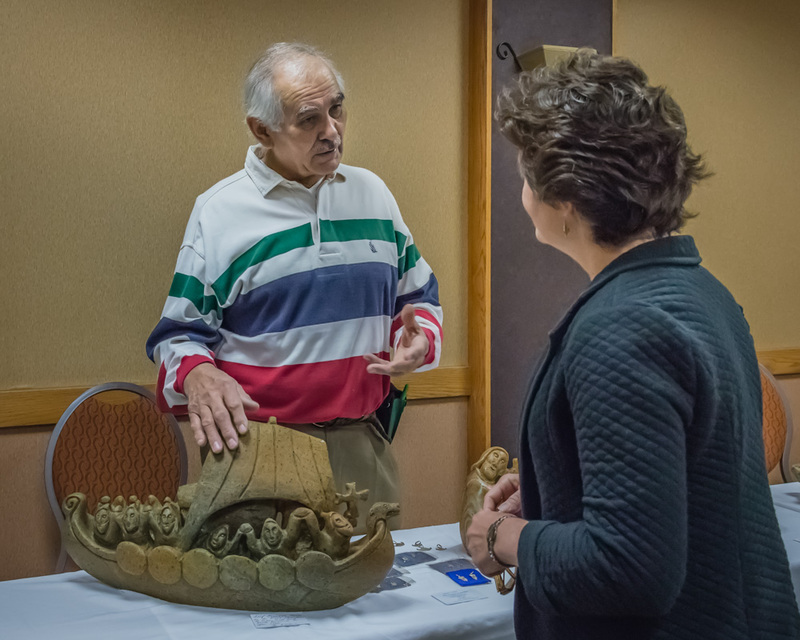 He discussed resources he has found most useful for garnering additional information on Inuit art and artists. Michael shared images of some of his favorite pieces provided thoughts on the artists who produced them. He also discussed his collecting experiences, particularly the opportunities and potential pitfalls of acquiring art on-line from sources such as e-bay. 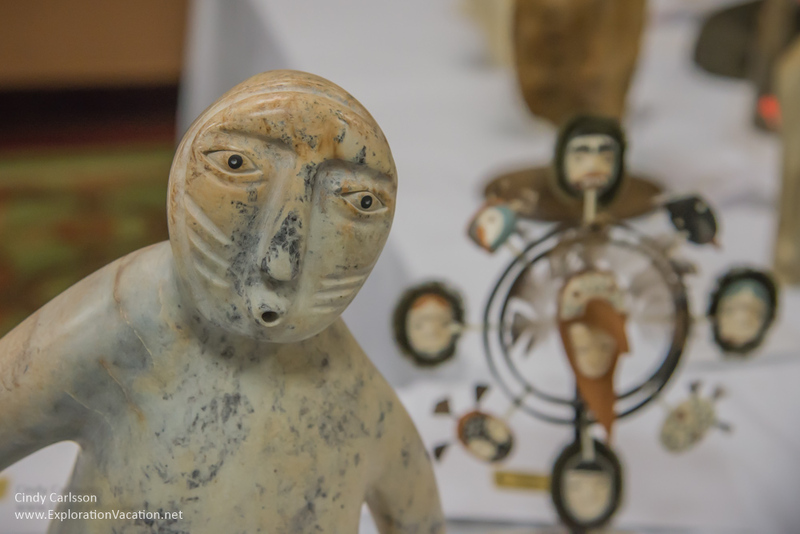 Jan Sivertson, owner of Sivertson Gallery, Grand Marais, MN, walked us through the wonders of Inuit dolls, sharing many examples from her collection spanning the arctic through Alaska and Canada. 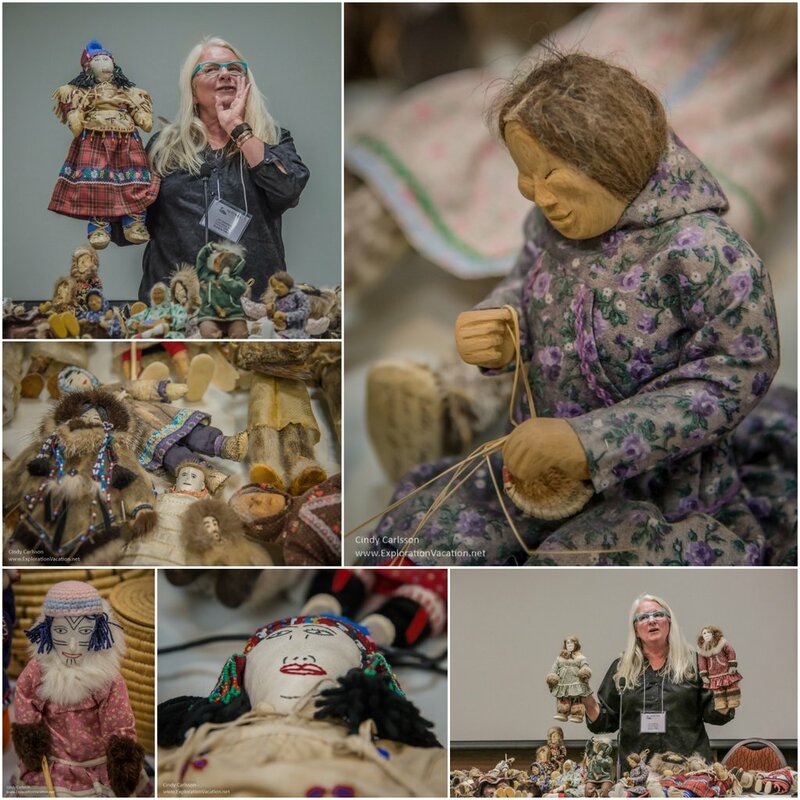 Jan Sivertson plays show-and-tell with a few of her favorite Alaskan and Canadian dolls. It was interesting to learn of the multiple uses for these gems, from being obvious toys to also serving as tea carriers on a journey tracking and hunting the caribou. Who knew there were dolls made of fish skin, a challenge indeed for collectors with either delicate noses or who own cats! Long time IAS member Bob O’Hara shared stories and his beautiful photographs taken over more than 40 years of canoeing the rivers and lakes in the Barrenlands. Bob provided insight on the Inuit people, describing them as “supreme realists”; food, shelter, and clothing making up their whole day. 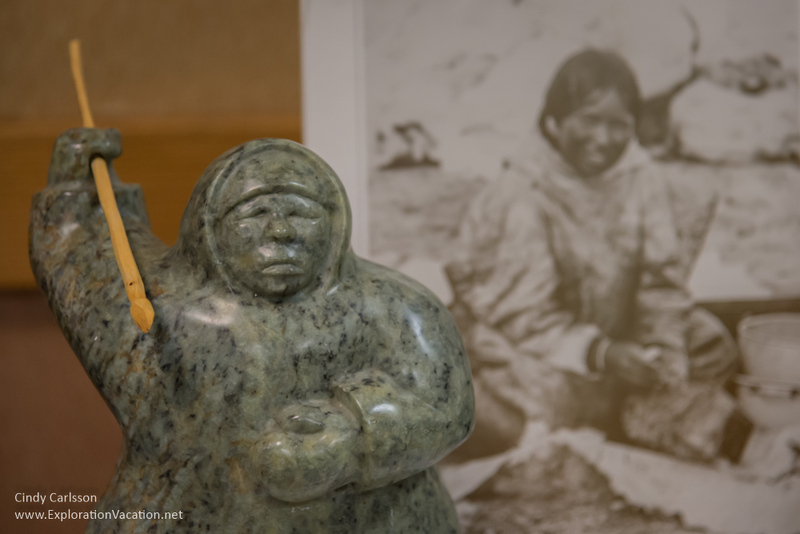 Bob’s career as a teacher has also strongly influenced his collection of Inuit art, which is focused on images highlighting the Inuit way of life and their sustenance lifestyle. 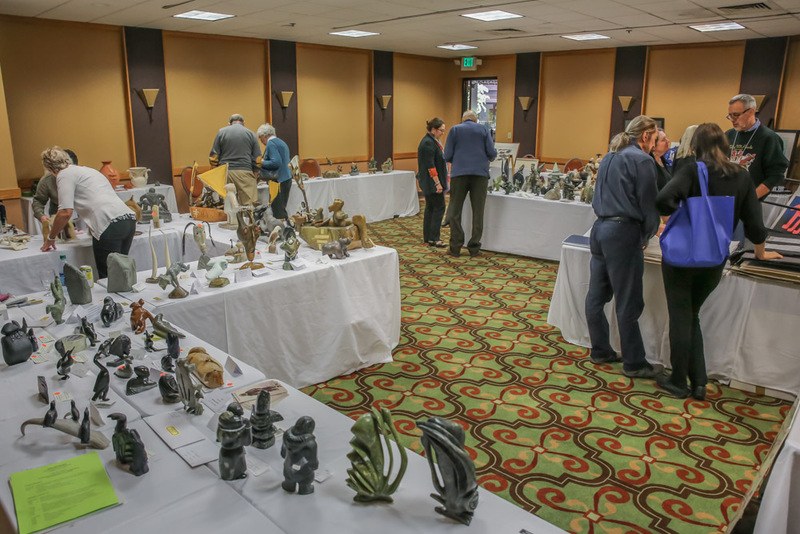 The 2015 Annual Meeting had an impressive marketplace. The marketplace included tempting art offered for sale by Eliot and Alisa Waldman of Native Art Traders, Jan Sivertson and the staff of the Sivertson Galleries, and Lane Phillips with items from a former Minnesota galleries that included a large number of prints and original drawings. In addition, our guest artist, Jonas Faber, also brought a number of impressive carvings for sale. 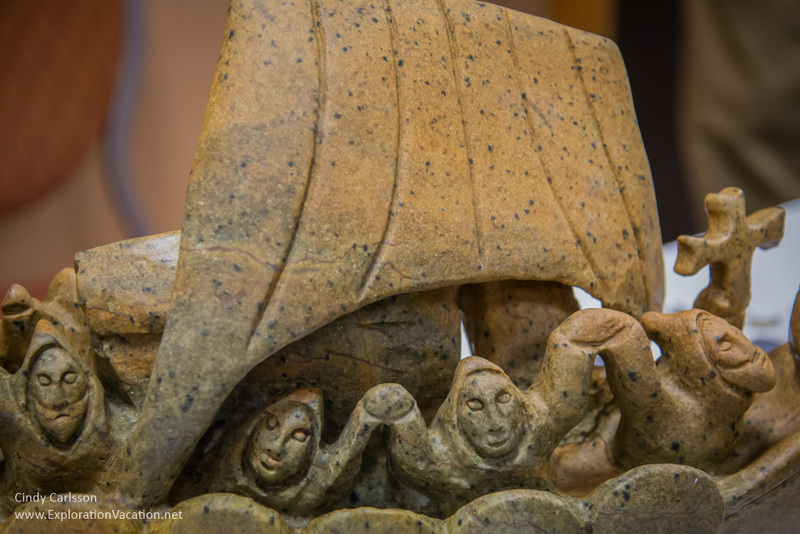 Several of these carvings depicted moments in the history of the Inuit people being introduced to Christianity. A warm and sunny Sunday afternoon also brought the opportunity to visit the homes and collections of ASI members to enjoy their art collections and reflect on the weekend’s entertainment and fellowship.